Are you ready to abandon self-judgement and fear? Are you ready to express yourself clearly and authentically? Are you ready to connect with your most unique mode of expression? Are you ready to meet yourself and others with greater clarity and intention? Ancient tradition and modern experts agree that traumas and negative cultural conditioning are stored in the fifth chakra (also known as the throat chakra). Stuck energy in this area can present as an inability to express oneself comfortably and easily through speech, song, and vocalization. Freeing the voice is opens the flow of energy through this important center of expression. ~ Learn to listen, receive, and generate sound that supports a felt sense of interconnection between you, your loved ones, family, community and the greater world. 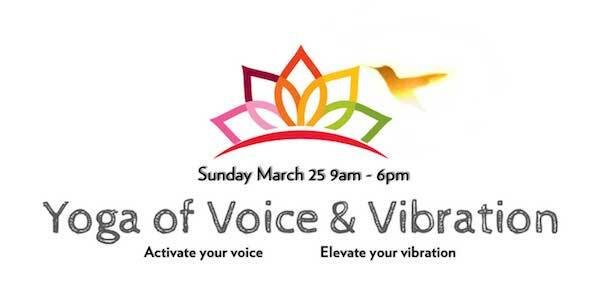 ~ Recognize the power of your unique voice vibration to connect deeply with yourself, your purpose, and with others in fulfilling and loving ways that promote beauty and joy. ~ Emerge with a greater understanding of your personal energetic blocks and practical tools to access and support your voice. split payment is available. Please inquire. Kimberly Haynes has dedicated her life to healing through sound and music. A survivor of childhood trauma, she spent many years lost in a cycle of anxiety, addictions, and self-destructive patterns. Through intense spiritual practice, fierce determination, and a deeply devotional relationship to her craft, Kimberly was able to lift herself out of destruction. In doing the painstaking work of recovery, release, and finally healing the wounds of her soul, she is a uniquely qualified guide for those seeking reconnection with their true voice, both inner and outer. Kimberly has been blessed to bring sacred song intensives and song healing ceremonies to those who, like her, seek a deeper connection to all that is.